As far as goals go, goals are goals are they not? Well perhaps not, I accept there are good ones, there are great ones and there are those that just add to the tally. But, the two goals Chelsea scored against Manchester City will live long in the memory. Not only because they gave us a much-needed win but also because they ended the myth, doing the rounds, inferring that Pep Guardiola’s side were unbeatable. But, could we have had two more unfancied scorers than N’Golo Kante and David Luiz? Both are valued team members but if Chelsea were to beat Manchester City, you’d have expected the goals to come from the likes of Hazard, Willian and Pedro, even more so with Maurizio Sarri opting not to play a traditional striker buy play Hazard as the false number nine. But it was a plan that worked well and both Kante and David Luiz took their goals with aplomb and celebrated, like us, accordingly. After the game, both goal-scorers were nabbed by BT Sport for a few words for the viewers. “They are a very good team. We suffered together then afterwards we didn’t give up and got the two goals. We are happy with the win. 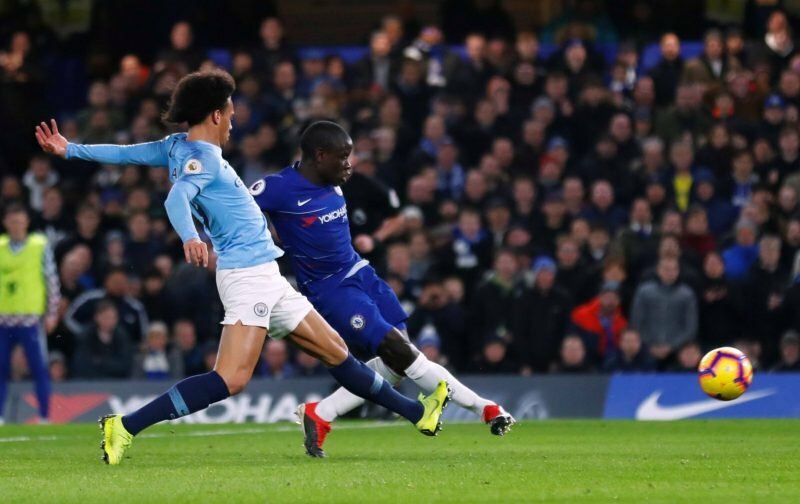 Kante on the score-sheet is indeed a rarity, perhaps in his new advanced role, it’ll happen more often. “It was a great game. I think we are playing against the best team in Europe at the moment. They have great players and are playing very well. “We had to suffer but then we took our chance to score. It went well, our plan. We have had some bad results but tried to improve. Yes, indeed we do, next weekend we face a trip to Brighton and Hove Albion, just a matter of days after concluding our Europa League group with a trip to take on MOL Vidi, it’d be typical Chelsea if they were to come a cropper down by the seaside would it not?